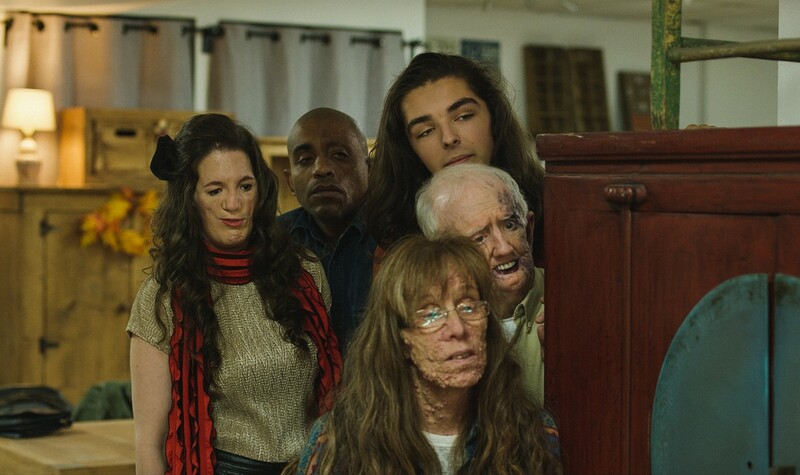 Estranged from his cancer-stricken mother, Stan, a quixotic 19-year-old, dons a disguise and joins a therapy workshop for disfigured patients in a misguided attempt to reconnect with her. When Stan is exposed as an impostor, he strikes a deal with the workshop facilitator: in exchange for staying in the group, he'll train them how to use their physical differences as a weapon against our beauty-obsessed culture. Directed and co-written by Alexandre Franchi (CUFF 2010 Best Narrative Feature Winner THE WILD HUNT), the film is basedon autobiographical events as Alexandre grew up witnessing his single mother’s struggle with cancer. The other characters are all played by real people with facial differences playing a fictionalized version of themselves. Set in 1990s Montreal, HAPPY FACE is part autobiographical coming-of-age story, part Dungeons & Dragons fuelled fable, and part antitode to the Tyranny of Beauty. After a successful banking career in Canada and in the Persian Gulf, Alexandre Franchi decided to quit the business world and follow his passion for storytelling. After several short films and completing the Canadian Film Centre’s directing program, Alexandre settled in Montreal where he directs television commercials. THE WILD HUNT (2009) was his feature debut and premiered at the Toronto International Film Festival where it won the award for “Best Canadian First Feature”. It also received the Audience Award at the 2010 Slamdance Festival. HAPPY FACE is his second feature length film. "Director Alexandre Franchi successfully shows the experiences of these marginalized individuals." "Franchi manages to keep HAPPY FACE above water, handling the topic with finesse from a position of empathy and respect."